“FDA believes strongly people addicted to opioids should have access to safe and effective, approved treatments for addiction. Unfortunately, unscrupulous vendors are trying to capitalize on opioid epidemic by illegally marketing products for these purposes,” FDA commissioner Scott Gottlieb, MD, warned on Twitter Friday. Gottlieb was reacting to a story in The New York Times about the marketing of dietary supplements like “Opiate Detox Pro,” a blend of vitamins and amino acids said to have “amazing benefits” in reducing opioid withdrawal symptoms. Similar claims are made about kratom by websites such as HowtoQuitHeroin.com, which was founded by Jorge Fernandez, a recovering heroin addict. Kratom is not approved by the FDA as a treatment for opioid addiction or any other health condition. But because kratom is classified as a dietary supplement, it’s not held up to the same regulatory standards as pharmaceutical drugs -- as long as vendors don’t make any misleading claims about its health benefits. That’s when the FDA can intervene by seizing kratom products or prohibiting their sale. Although Gottlieb didn’t specifically name kratom as one of those “health fraud scams,” there’s little doubt that’s one of the supplements he was referring to. Last month the FDA issued a public health advisory about kratom, warning that it was addictive and linked to dozens of overdose deaths. “The FDA knows people are using kratom to treat conditions like pain, anxiety and depression, which are serious medical conditions that require proper diagnosis and oversight from a licensed health care provider,” Gootlieb said at the time. Kratom comes from the leaves of a tree that grows in southeast Asia, where it has been used for centuries for its medicinal properties. The leaves are usually ground up to make tea or turned into powder and used in capsules. Most kratom users say the herb has a mild analgesic and stimulative effect, similar to coffee. In a survey of 6,150 kratom users last year by Pain News Network and the American Kratom Association, most said they used kratom as a treatment for chronic pain, depression or anxiety. But a fair number -- nearly 10 percent -- said the primary reason they used kratom was to treat opioid addiction. “Kratom is the one thing that has kept me from using opiates and other illegal substances. I've been able to stay clean for 3 years now. It's given me my life back,” one survey respondent wrote. “Kratom is the only reason I was finally able to end my addiction to hydrocodone. It is nowhere near as potent as hydrocodone, and you can't overdose” said another. “I've had several friends who have died from heroin overdose if they knew about kratom they may still be alive today,” wrote another kratom user. 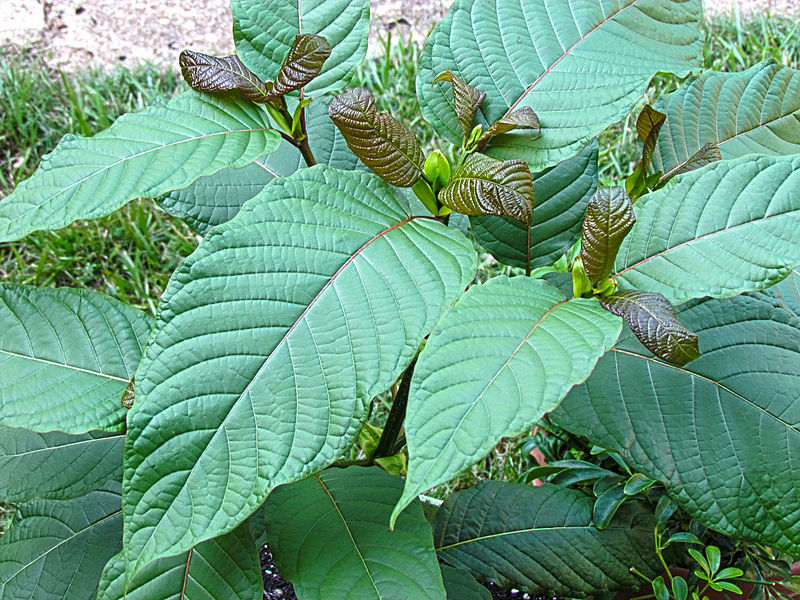 Last year, the Drug Enforcement Administration attempted to list kratom’s two active ingredients as Schedule I controlled substances, which would have made it a felony to possess or sell kratom. The DEA suspended its plan after a public outcry and lobbying campaign by kratom supporters, saying it would wait for a medical evaluation and scheduling recommendation for kratom from the FDA. Although the FDA has warned the public about using kratom, its full report and recommendations have yet to be released.